Forums > Prince: Music and More > Is this Real? It's real. It's from the recording session for "Hey Hannigan". Thank you...he is wearing a sleeveless singlet ? google is my friend right ? DOes Hey Hannigan even exist...? ....and look at his neck, that aint Prince's neck. Like someone said, they just photoshopped it, specifically, dropping his head on whoevers body that is. That photo of Prince's face is from 2007. Bowie's face is also photoshopped in and is a photo of him from the 70s. Photo of Lemmy looks like 80's or 90's. 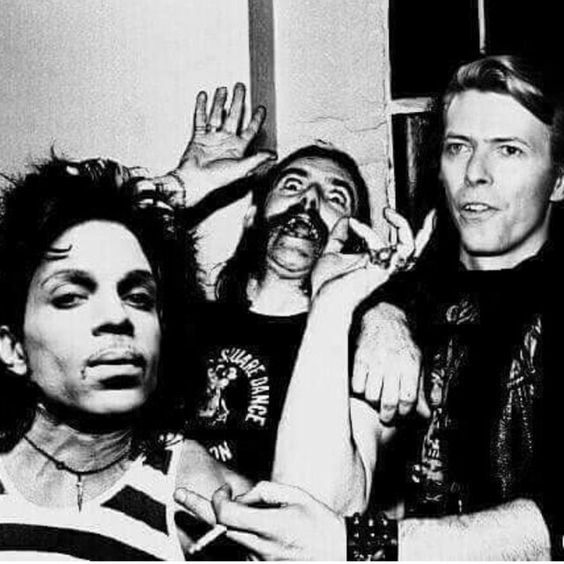 This is a (bad) photoshop job probably to commemorate the fact that they all died around the same time (Lemmy died in Dec 2015 for anyone that might not know). 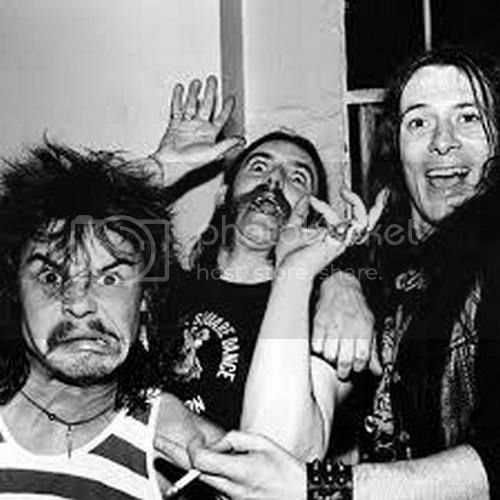 All you have to do is drop it into Google reverse image search to find the original Motorhead picture from 1976. Still, worthy enough to be mountain art. Ew. Look at that wrinkly neck! Hecfk no that is NOT Prince. Ewwww!